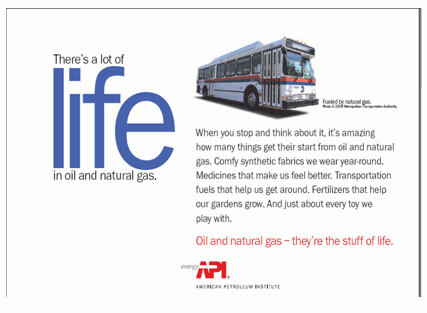 An article in the Sacramento Bee last week raised concerns about the role of British Petroleum scientists in shaping a statewide k-12 science curriculum. BP representatives were among many experts called in to shape what and how science would be taught to California students. Having caused the worst human-made ecological disaster ever, BP certainly deserves to be the current poster child for corporate greed and corruption. But the company’s participation on a large committee shaping science curriculum is only a tiny piece of the giant problem of corporate influences on what children learn in school. For one thing, other industry representatives with a clear financial stake in how and what children learn about fossil fuels and non-renewable energy were also represented, along with environmental groups, educators and academics. 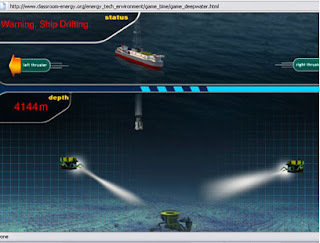 Significantly more troubling than BP’s role in shaping the curriculum are what’s called Sponsored Educational Materials (SEMS), created solely by corporations or corporate trade organizations and distributed for free in schools around the world. These teaching materials bypass review by any board of education and are marketed directly to teachers as alternatives to aging, out of date, and/or expensive textbooks. SEMS are not exactly new. I have vague memories of watching industrial films in elementary school made by G.E. and other companies. But, like all commercialism, the presence of these materials in schools has escalated—and will escalate even more as we continue to abdicate financial responsibility for public education. 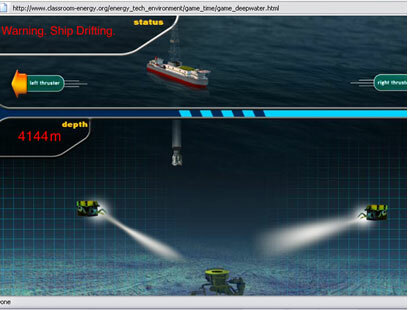 In Britain, BP creates science and math materials for kids as young as five. 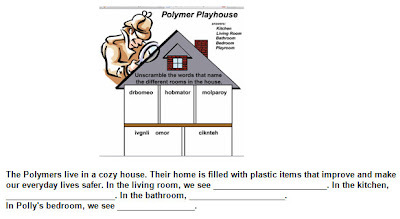 Of course, the worksheet doesn’t question whether the Polymer family needs all of the plastic stuff in their house. Or how it was made. Or where it’s going to end up. What’s markedly absent is a verse addressing any environmental concern about plastic polymers. Perhaps something like this: I’m not unaware of the ways that we benefit from oil and plastic. Full disclosure: I drive a car, have a toothbrush, and my husband is an art conservator who uses plastic polymers in his (excellent) restorations. And I certainly believe that children should learn about material sciences in school. But they shouldn’t be taught content provided by entities with a financial interest in what they do or do not learn. The purpose of these organizations is to protect and promote the industries and the corporate interests they serve, not to educate the public with balanced and objective information. Given the state of the environment, we don’t need to extol the benefits of fossil fuels and plastics to children—we should help them weigh the environmental costs against the benefits of our dependence of them, and learn to think carefully about what they need and don’t need. Oil and plastics aren’t the only industries that distribute SEMS. So does the coal industry, the food industry, the entertainment industry, and even the drug industry. One primary purpose of education should be to promote critical thinking in children. By definition, corporations—legally bound to make profits for their stockholders—can’t jeopardize sales by promoting critical thinking about their products. For that reason, alone, they cannot create effective, ethical educational materials. World Of Warcraft Gold through the game and not need to Buy World Of Warcraft Gold, it is really good! we can even sell the rest Cheap World Of Warcraft Gold for other players and can make friends through the internet!